Every so often, the SEO community goes haywire, with reports of fluctuating search results indicating Google has tweaked its secretive algorithm. In early March 2017, speculation was rife that an unannounced update had been released, with webmasters noting huge drops in rankings – “90% of my keywords flew into oblivion,” commented one. In 2011, Google named their content quality update Panda, and a year later they launched Penguin to tackle link spam. Hummingbird was released in 2013, but they’ve since kept quiet on in-house code names for major changes, leaving it up to the SEO community to mark such occasions by nominating the terms Pigeon and Possum. 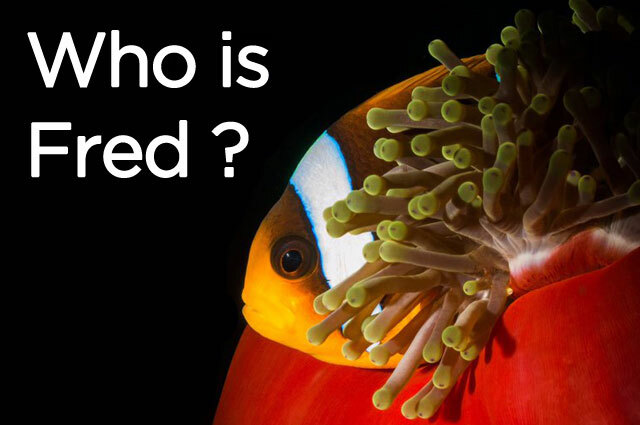 Illyes is a diving enthusiast, often uploading his underwater photos to social media, and on the day ‘Fred’ came into being, he posted the above image of a clownfish, which SEOs now refer to as ‘Fred the fish’ (in-keeping with the tradition of naming algorithms after animals, albeit slightly tangentially). Once a name had been assigned, focus switched to the fishy business of figuring out exactly what Fred was up to. What is the Fred algorithm? It looks like many (not all but many) of [the websites affected] were created with the sole purpose of generating AdSense or other ad income without necessarily benefiting the user. As we’ve mentioned in a number of our recent guides, Google is continually refining its process for returning the very best web pages that match searcher intent. The goal is to ensure Google retains its status as the most trusted search engine in the world, the go-to index for any search query you can imagine. Thus, there’s an emphasis on rewarding quality websites that offer the very best user experience, which is why the constant tinkering of ranking signals largely focuses on displaying results that genuinely answer questions. We’ve all clicked on dodgy sites in our time, hoping they’ll resolve our queries only to find ‘thin’ content that isn’t worth the webspace it’s published on, surrounded by ads that employ annoying tricks to get clicks, e.g. being disguised as related content that actually takes you to third-party sites. Such clickbait is a real issue, as these sites often overpromise and underdeliver, crafting captivating headlines to draw you in, but offering little value, leaving visitors scratching their heads or pulling out their hair. This is the opposite of the user utopia Google envisions, which is why Fred clamped down on frustrating filler. Google is clearly not averse to webmasters monetising their sites (they make fortunes through AdSense, so it’s not in their interest to blacklist ad space), but they’ll never sacrifice quality in favour of making a quick buck, and nor should you. If you host ads on your site and you want your pages to actually rank, you have to research your content thoroughly and follow the principles of successful digital copywriting. There are no shortcuts, and you’ll only cut through the noise by creating useful resources that people enjoy interacting with. Answer The Public. As mentioned above, taking time to accurately answer real search queries will put you in good stead. To point you in the right direction, read our guide to creating better content with Answer The Public. Be careful with keywords. Each page should target a different keyword/phrase/search query, helping the search bots to differentiate between pages, avoiding confusion and increasing the likelihood of each page ranking for its respective terms. However, don’t stuff keywords into your copy, as this is a sure sign of a low-quality site, designed with search bots in mind rather than humans. Follow keyword research best practice and be sure your content reads naturally. Don’t duplicate. While Google doesn’t issue penalties for copying content, per se, it will filter out search results that are very similar, listing only the original source. Thus, take time to make your content original and craft it to ideally be the best, most accurate, trustworthy resource for whichever subject matter you’re publishing on. Going one step further, uploading visual content (photos, GIFs, infographics, videos, embedding tweets) shows you’re making an effort to engage your audience rather than merely trying to get clicks on your affiliate links, reducing your bounce rate and helping you earn respect in the eyes of both users and bots. Additionally, original, evergreen assets boost your chances of naturally acquiring backlinks, improving your overall website authority and, subsequently, rankings. Don’t allow ads to be intrusive. Your content should always come first (it’s the reason people visit your site), so make sure ads aren’t the focal point of your pages. It’s also wise to not allow more than one ad to be visible at the same time, as this risks creating a ‘busy’ environment that distracts from the main body of your content. Build a genuine audience. If you create great content, it will naturally work its way to the top of the SERPs, but you can expedite success by forming a social media marketing strategy that engages your target audience, driving traffic your way from outside of fluctuating search algorithms, safeguarding your potential for ad revenue. Ultimately, it’s important to stress that the only way to make an impression on organic search listings is to invest in quality content that helps or inspires people in a meaningful way. As Fred gets better at detecting spam, woolly words on ad-heavy websites are going the way of the woolly mammoth, consigned to the Stone Age of online marketing. 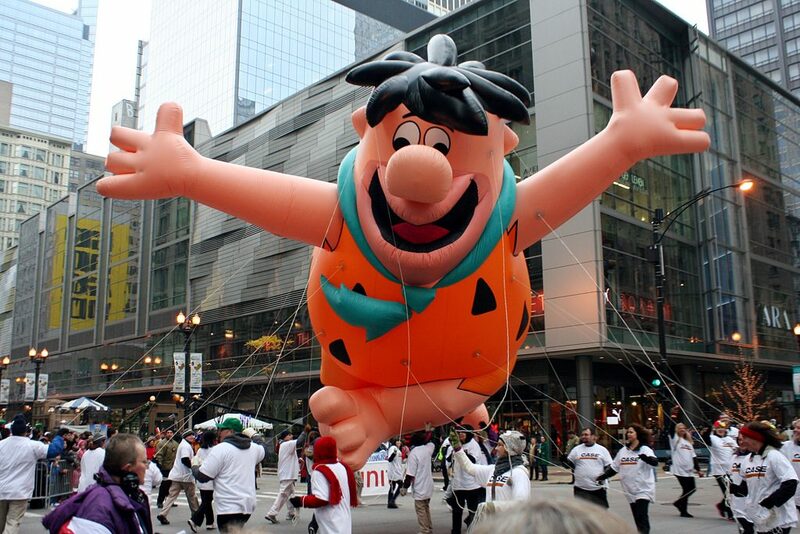 This should leave all of us shouting “Yabba-dabba-doo!” as the Internet steadily becomes a happier, healthier place. If you’re not satisfied with your SEO rankings and would like further advice on gaining traction on Google, give us a shout to schedule in a FREE Digital Health Check. Email enquiries@bespoke-digital.co.uk for further info.